Plans to develop a multi-model mobility offering covering buses, taxis and on-road shuttles in the Oxford area has become one of 22 connected and autonomous vehicle (CAVs) R&D projects to scoop Government funding. 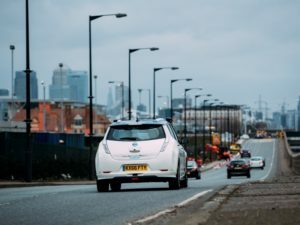 The Centre for Connected and Autonomous Vehicles CAV3 competition, managed through Innovate UK, will share a £22.4m investment between all 22 projects, including the MultiCav scheme. Lead by First Group, the consortium includes various transport, educational and council bodies, including Arrival Limited, Oxfordshire County Council and Zipabout Limited, and will look to drive Mobility as a Service (MaaS) through a multi-model offering. Other projects that have scooped funding including work to develop autonomous valet parking. Lead by Parkopedia in collaboration with the Transport Systems Catapult and University of Surrey, this will develop a mobile app that will enable drivers to drop their car at a car park or their final destination and command it to park. Meanwhile the ‘AutopleX’ project led by Jaguar Land Rover along with project partners including Highways England, Inrix, Ricardo and Siemens will work on vehicle and driver safety, combining connectivity and autonomous vehicles to help vehicles ‘see’ at junctions with limited visibility. And the T-CABS project will build a fleet of 15 seat pods and use them to demonstrate a fare paying public transport service in Cambridge.